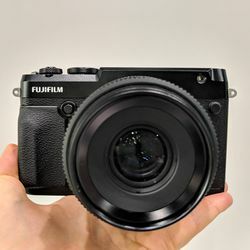 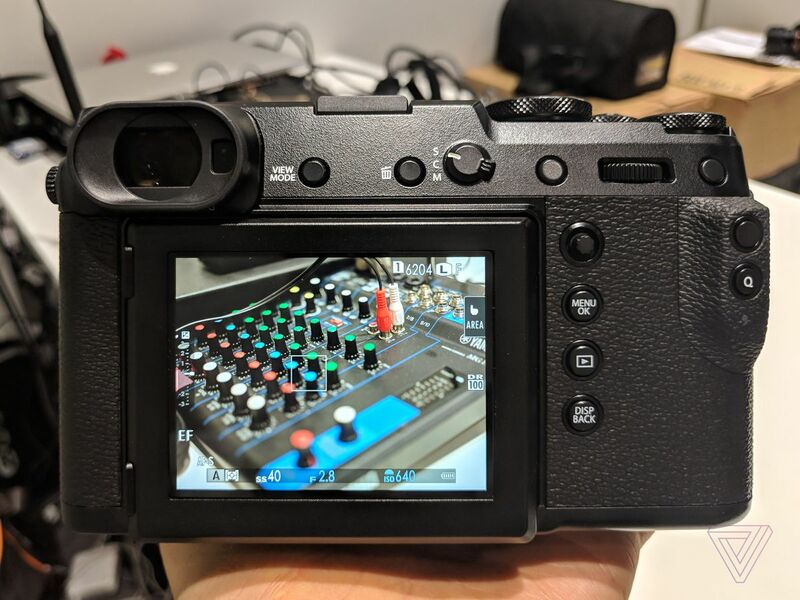 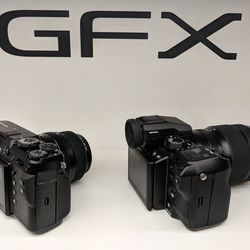 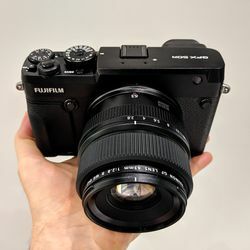 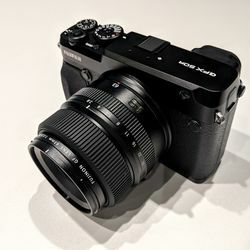 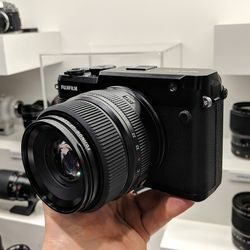 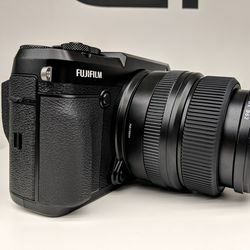 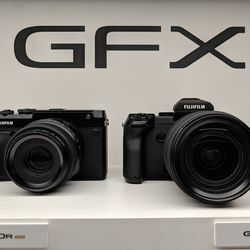 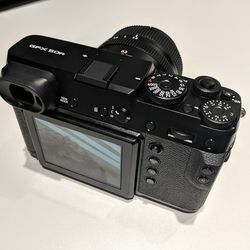 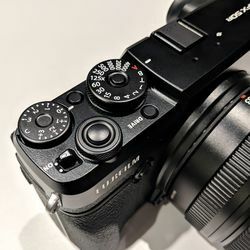 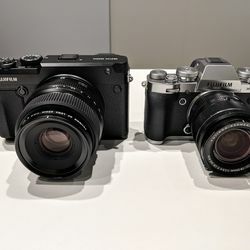 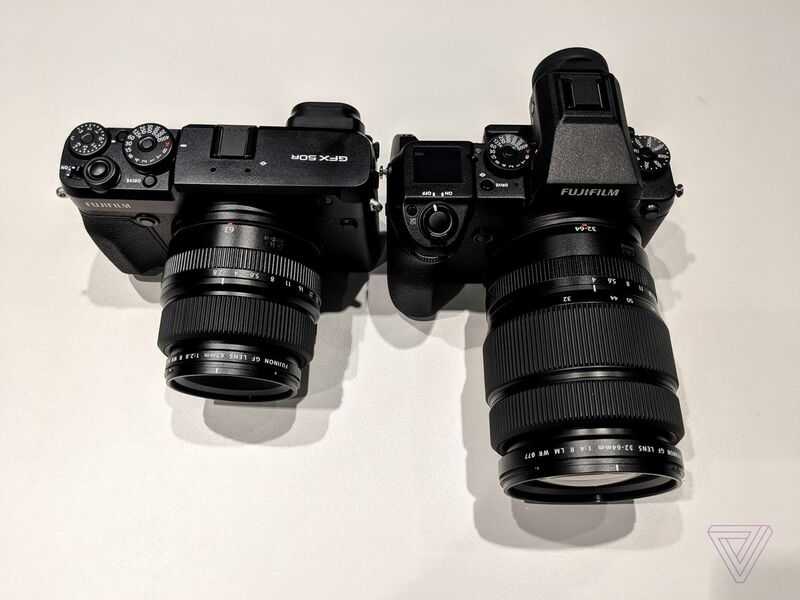 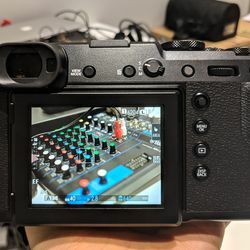 I just had my first hands-on experience with Fujifilm’s new mirrorless medium format camera, the GFX 50R, which has the innards of a large studio camera but is styled to look like a small, portable shooter. 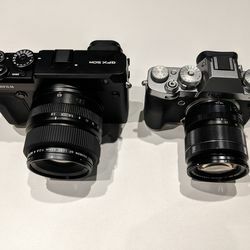 My first impression is that it’s both. 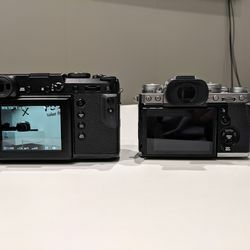 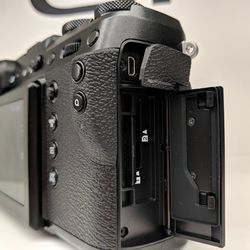 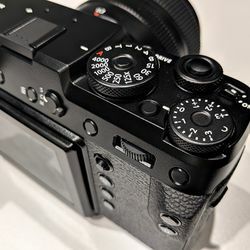 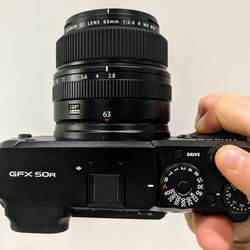 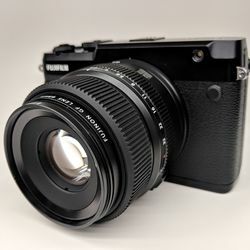 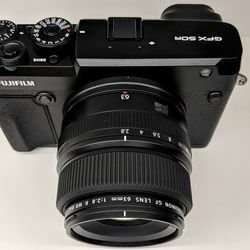 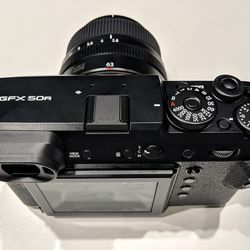 By the enlarged standards of medium format cameras, the 50R can be described as slim and compact — it’s a full inch thinner than its GFX 50S sibling — and yet it’s still in a distinct and separate category from the cameras that typically adopt the rangefinder styling, such as Fujifilm’s own X-E3 or X-Pro2. 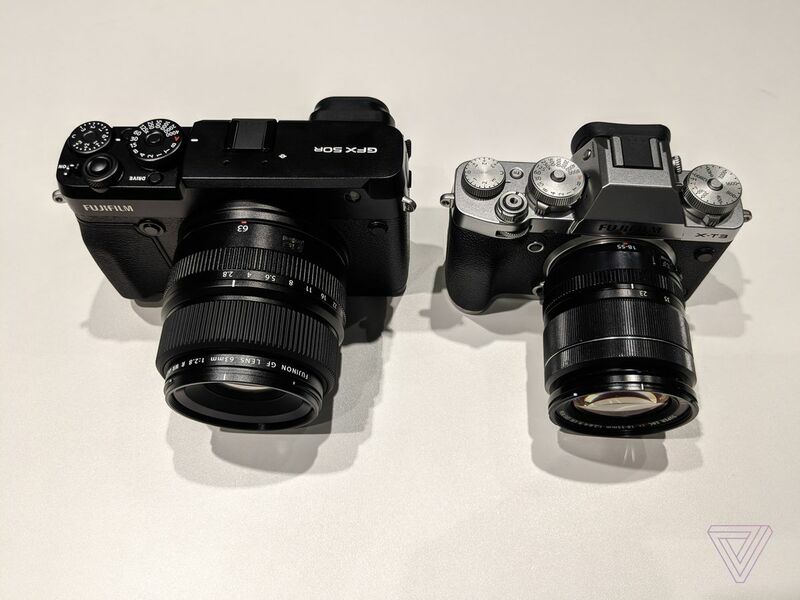 So this is both huge for a rangefinder and tiny for a medium format shooter. 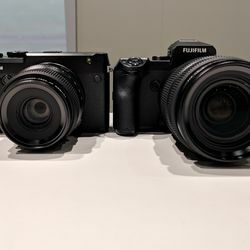 Fujifilm says it designed the 50R for more mobile purposes, meaning street, wedding, and documentary photography — and even though it’s still a large camera, the 50R might be up to those jobs. 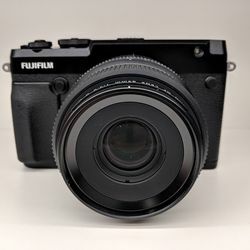 The best analogy I can offer for the 50R is that it’s similar to Fujifilm’s X-Pro2. 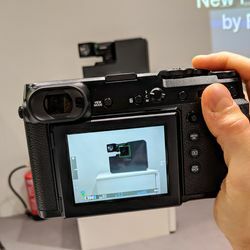 The body and controls of the camera immediately reminded me of the Pro2, albeit at a larger scale and a heavier weight. 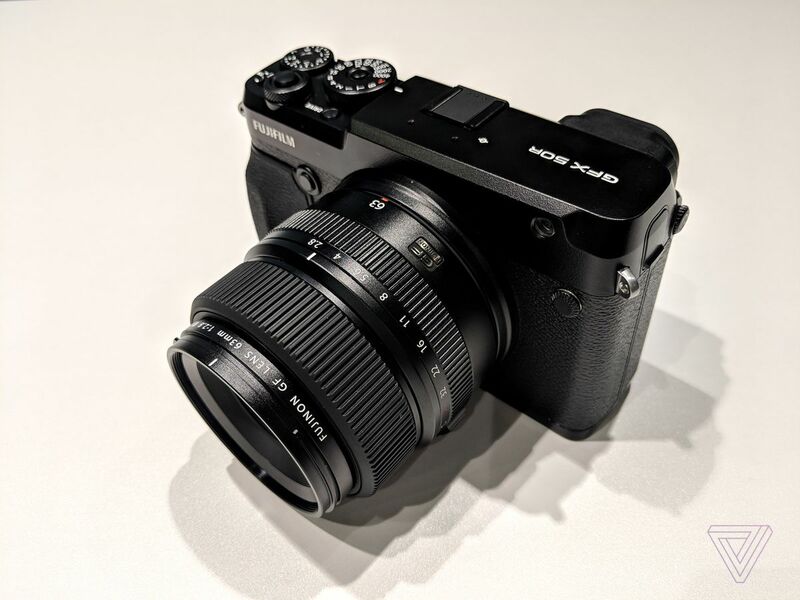 And yet — this is the constant contradiction about the 50R — it feels lighter than its size would suggest. 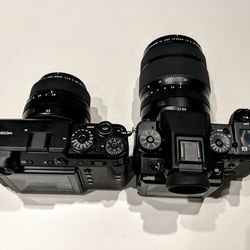 So I suppose photos do justice to its weight more than its bulk. 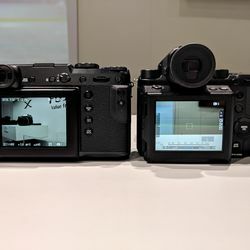 Compared to the 50S, the 50R loses the generous but huge electronic viewfinder in the center of the camera and replaces it with a smaller and better-integrated one on the left of the body. 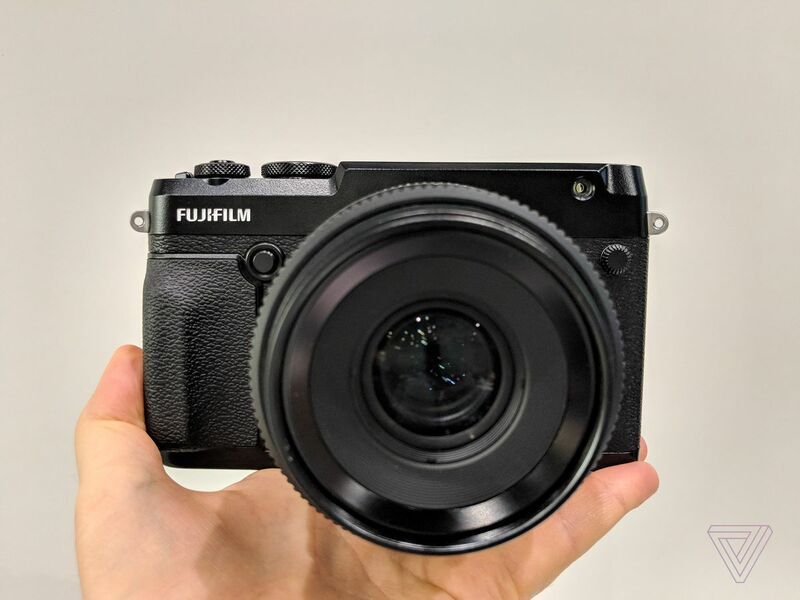 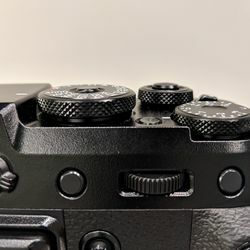 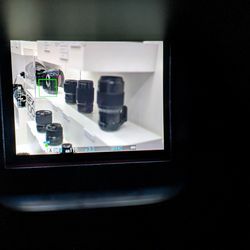 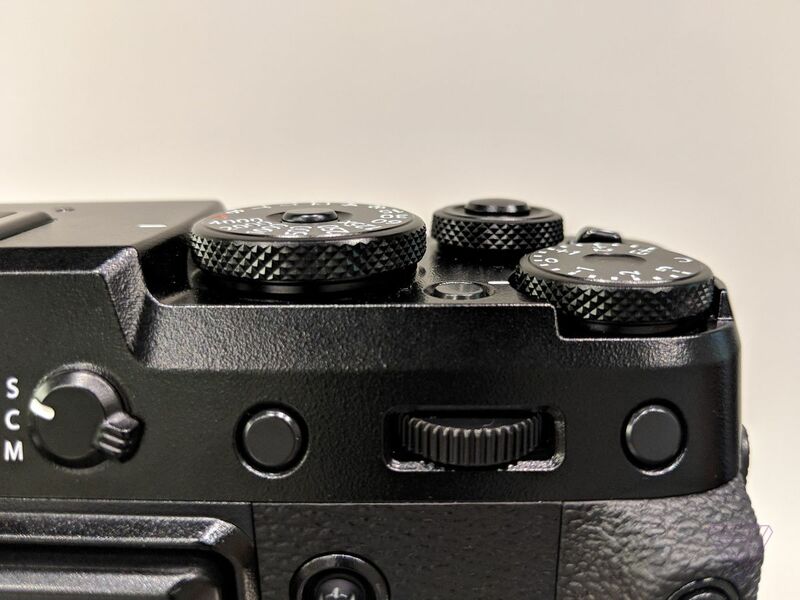 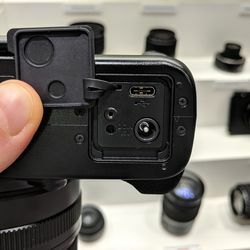 It’s a loss, there’s no getting around that, but the new camera’s EVF is still pretty damn good, and it allows Fujifilm to shrink the depth of the camera significantly. 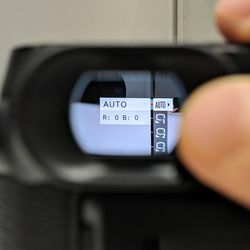 The 50R can definitely be packed into bags and fit into spaces that the 50S couldn’t before. 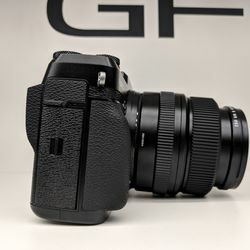 Then again, the 50S has a more accommodating and comfortable grip, along with a nice top-mounted LCD monitor giving you at-a-glance information about your shooting settings. 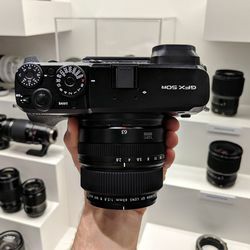 A large part of me is still partial to the earlier camera’s design, which feels better suited to the larger dimensions of a medium format class of camera. 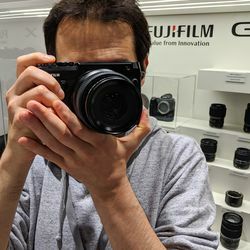 Considering the major advance that the 50S already represented in terms of making medium format shooting more accessible and portable, the 50R couldn’t gomuchfurther, but Fujifilm has still pushed things forward in meaningful ways without sacrificing too much. 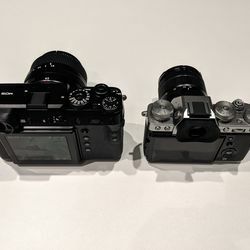 Picking between the two, should you ever be fortunate enough to be in such a position, will eventually come down to what you prioritize. 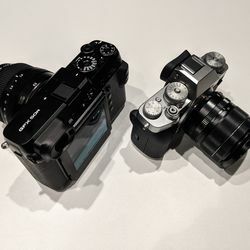 If it’s the best viewfinder and ergonomics, go with the 50S. 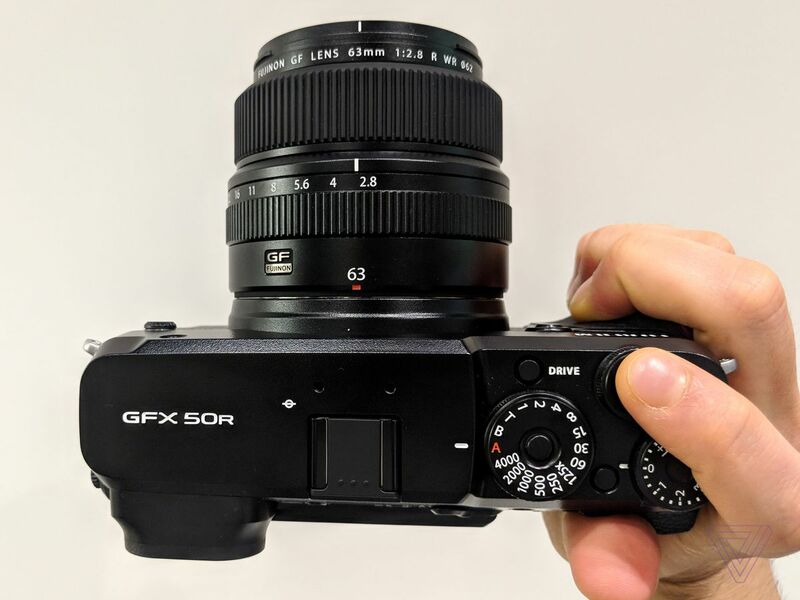 And if you’d rather be able to take the camera (almost) everywhere with you, then the 50R is your choice. 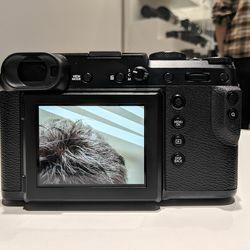 The fact that we’re even talking about a rangefinder-style medium format camera is a testament to the transformative power of mirrorless designs. 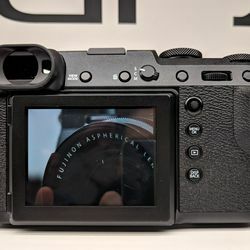 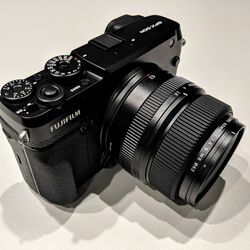 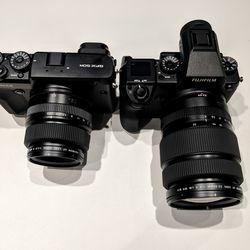 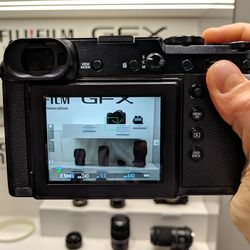 Yes, the GFX 50R dwarfs Fujifilm’s recently released X-T3, which is the Fujifilm model that most photography enthusiasts will be either buying or saving up for, but it happens to be carrying a huge 51.4-megapixel sensor, bringing it much closer to mortal humans’ reach. 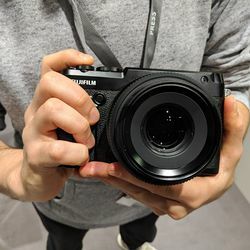 With a tilting touchscreen on board — that lets you pinch to zoom, just like on a smartphone — and Fujifilm’s familiar array of dials and tactile controls, the 50R is one of the least intimidating medium format cameras around. 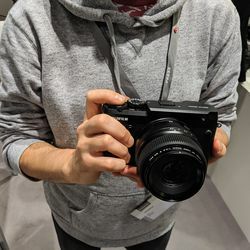 Hasselblad’s X1D is slicker and more minimalist, but it also costs a few thousand dollars more. 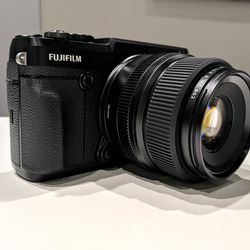 Priced at $4,500, the 50R undercuts its medium format competition, including Fujifilm’s own 50S, substantially. 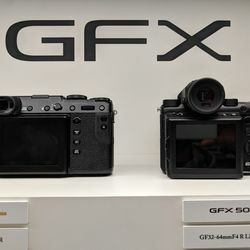 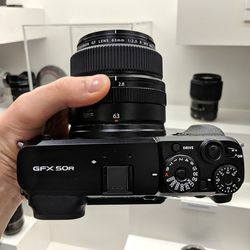 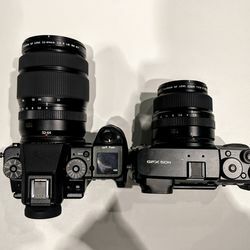 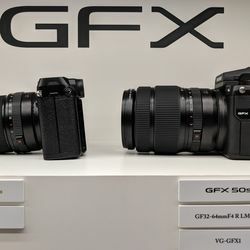 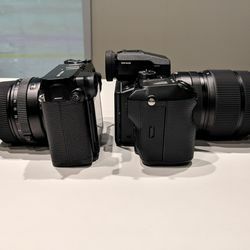 So this new camera is smaller, lighter, and cheaper than most medium format shooters, even while it’s larger, heavier, and pricier than most cameras.